Hi everyone! Happy Halloween!! I know I've taken a good bit of time off from the blog this month, so now we're back in business!! 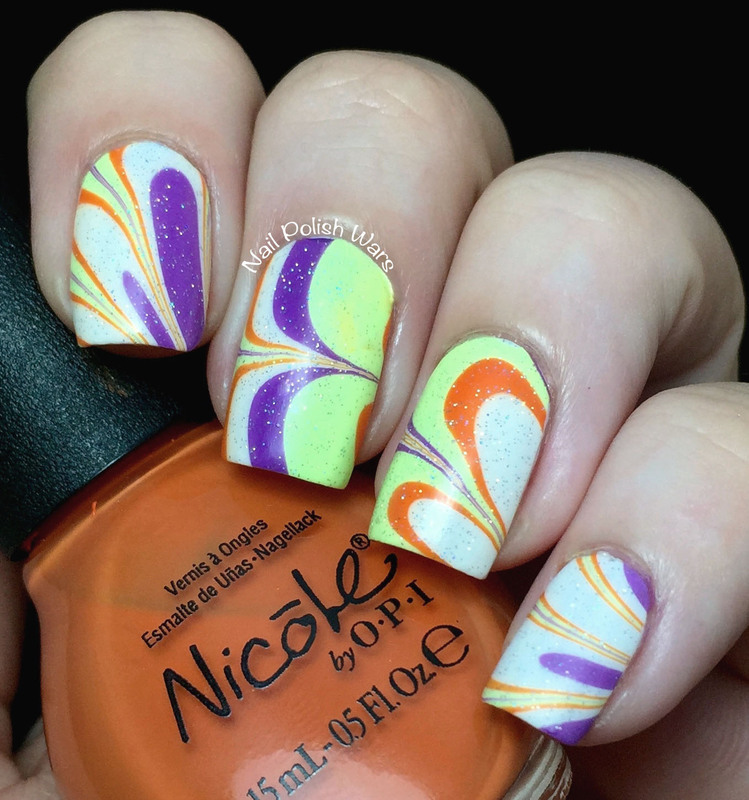 I decided on a fun water marble to rock for Halloween this year! 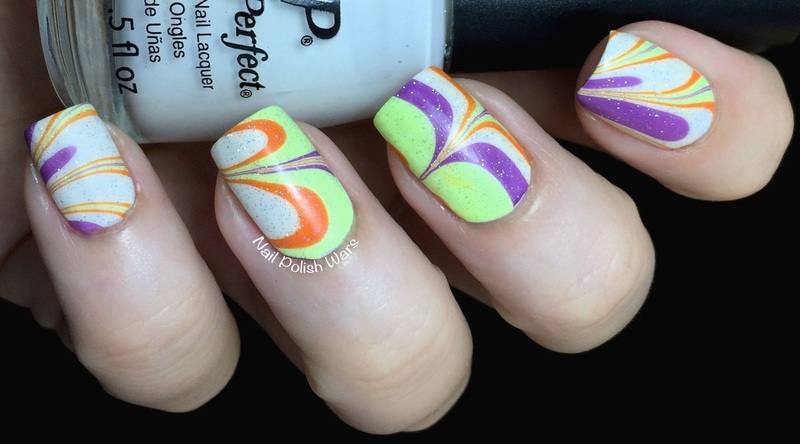 For my marble shades, I went with Sugar Cube, OPI Funky Dunkey, Nicole by OPI Fairy Fairy Quite Contrary, and China Glaze Grass is Lime Greener. I went with non-uniformed random patterns for each nail. I added one coat of Northern Lights Holographic Top Coat for a little sparkle, and finished with OPI Matte Top Coat. I love the end result! I had so much fun playing around with this one. I hope you enjoyed! Have a safe and happy Halloween!!! 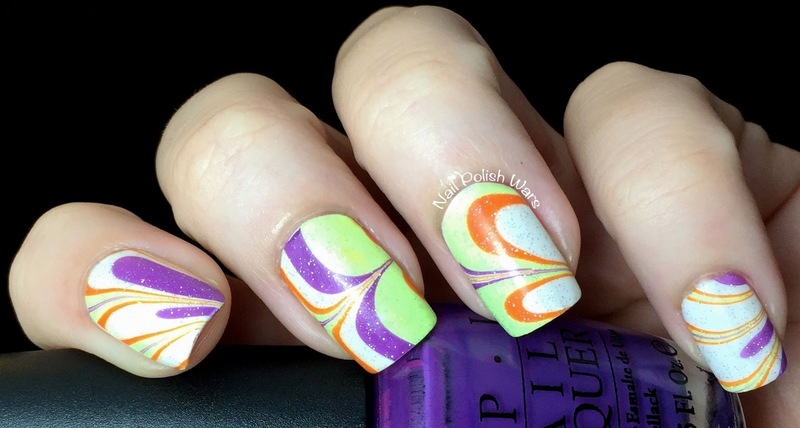 What a fun water marble this is! 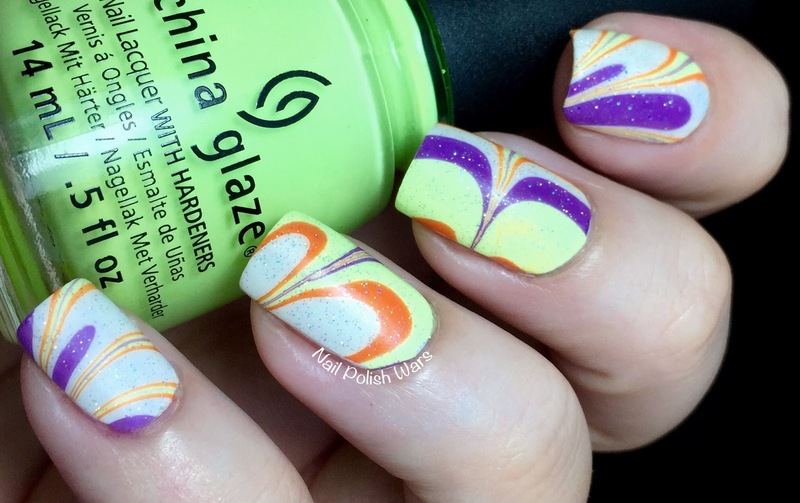 perfect water marble, i love the colors!